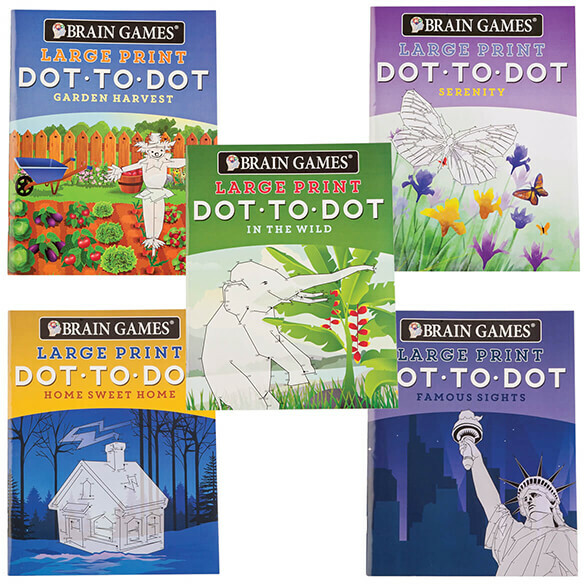 With large-print puzzles that are easy to see, these Brain Games Large Print Dot-to-Dot Puzzle Books, Set of 5 let your eyes relax—as you unwind and enjoy a calming brain workout. While you connect the numbered dots, a variety of detailed pictures will slowly reveal themselves, and each enjoyable challenge also helps engage your brain and enhance your focus. 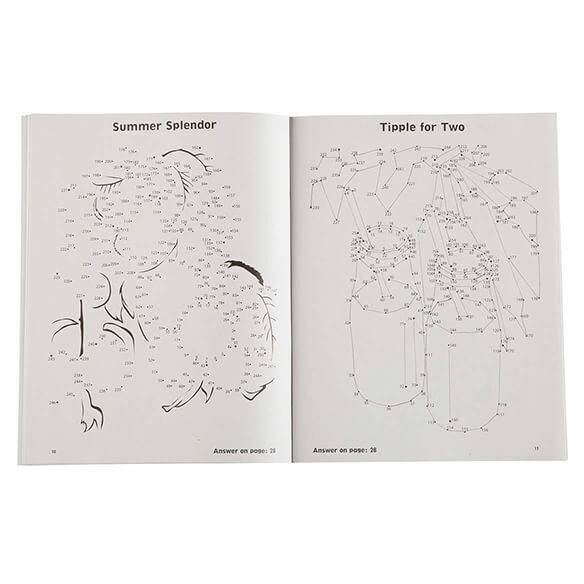 No squinting required to see the set's 124 dot-to-dot for adults puzzles, and finished pictures are suitable for coloring, giving you more chance to sit back and enjoy. Set of 5 includes "In The Wild", "Famous Places", "Garden Harvest", "Serenity" and "Home Sweet Home". Probably would not buy it again. 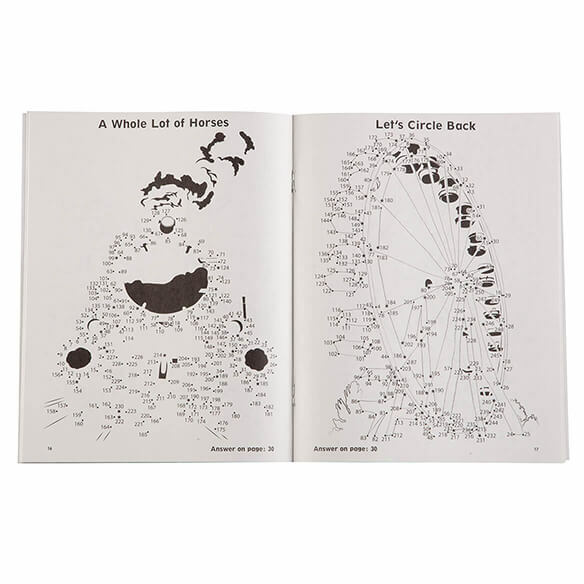 I love "extreme" dot-to-dot books. These are not challenging enough but are handy to take along while waiting for doctor appointments, etc. These are a great disappointment! I ordered these for my older brother because he has trouble seeing and I thought from the description of "large print" that they would be ideal for him. If these are "large print" then I would hate to see what "small print" would look like! I am not mobile so this helps to pass the time away. Coloring is out of the question cause my hands are too shaky. For relatives who need a hobby. I enjoy doing the dot to dot puzzles. I use these games for relaxing. Like to expand my mind and hubby's. i got these for my uncle who's in the hospital. Really enjoy this type of book. Thank you and I am so glad you all sell them. I will be back for more. Sweet!